How to transfer my contacts from iPhone to Android? How to transfer iPhone contacts to Samsung? When it's time that we are fed up with heavily restricted iOS system with small batteries, and want to try something new for our own customization, we choose to switch from iPhone to Android. To fo that, contacts are the top iPhone data we care to transfer. And here below, we will introduce you 4 easiest ways to transfer contacts from iPhone to Android like a charm. ★ Batch transfer contacts from iPhone to Android without limits. ★ Filter and selectively transfer contacts from iPhone to Android. 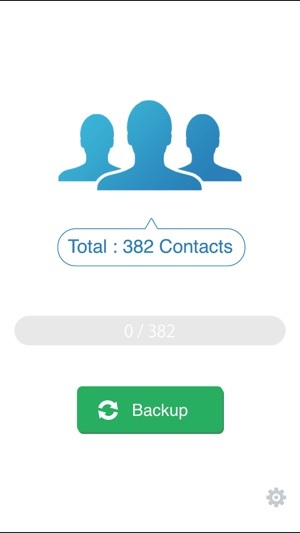 ★ Edit, merge, manage, and delete duplicate iPhone contacts. ★ Export iPhone contacts with encryption. To transfer contacts from iPhone, you will have to export contacts from iPhone first. 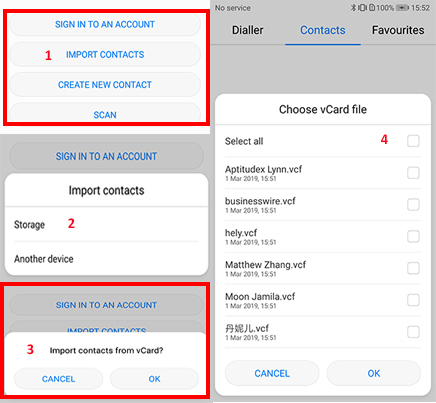 Remember, the compatible contacts format of both Android phone and iPhone is VCF(vCard). 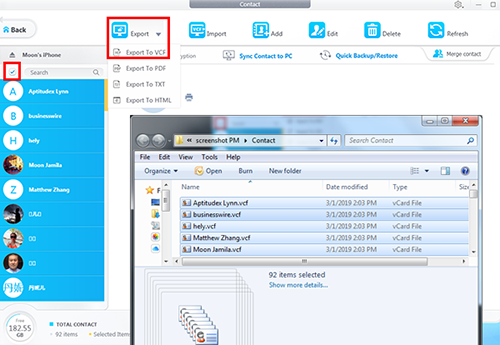 Therefore, it would be a better idea save exported iPhone contacts to VCF format. After that, all your local contacts info will be listed on the sidebar to the left, with an operation panel on top. Step 4: Click Export drop-down menu and select "Export to VCF"
Step 2: Copy and paste the contacts VCF files to your Android phone storage (SD card), for instance, under folder "Download"
The best part of this easy-to-use and idiot-proof method is that you can choose to batch or selectively transfer contacts without limits. DearMob iPhone Manager offers direct iPhone contacts transfer/backup solution with the ability to edit, merge, manage, and delete duplicate iPhone contacts easily on big computer screen before exporting out, without the need for WIFI internet connection. On top of that, if you have private/sensitive contacts, you can export those contacts with encryption to prevent data breaches and leakage. 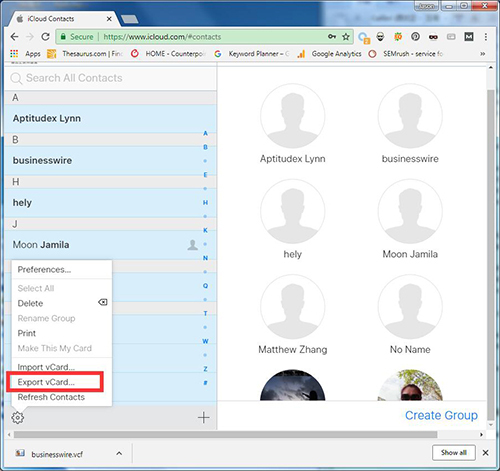 The main flow of this second method to transfer contacts from iPhone to Android is: iCloud sync Contacts-> VCF -> download to computer from iCloud.com -> import to Android Contacts. Step 1: Enable iCloud Contacts: Toggle on Contacts under iCloud. Step 2: On your computer, sign in iCloud.com in browser, click on Settings and choose Export vCard. Step 3: Your iPhone contacts will be exported to computer and you can repeat the vCard to Android transfer procedure in Method 1.
iCloud can also be replaced by iTunes to export iPhone contacts in VCF. But for the sake of efficiency, I'd rather suggest not using iTunes on Windows. The limitation of transferring contacts from iPhone to Android via iCloud is that you will have to keep connected to internet and you will need a computer too. If your want to import all iPhone contacts to Android, yet the data are too large for your Android phone storage space, you can divide them into 2 or 3 stacks for transfer and delete imported contacts data in time to spare up more space. You can also transfer contacts to Android via Google Contacts wirelessly. Option 1: Transfer contacts from iPhone to Android via Bluetooth? To transfer contacts from iPhone to Android via Bluetooth is still a dead end to go. I tried connecting my iPhone X with Huawei P10, hoping for a different result considering that we are in 2019 and that restrictions might be somehow lifted over iPhone to Android bluetooth connection. 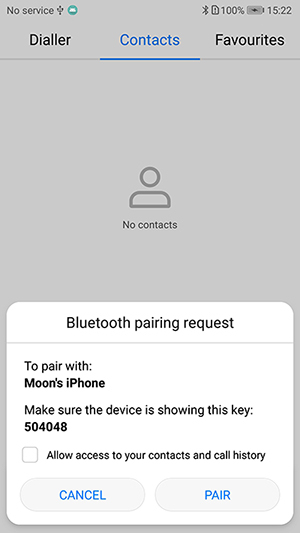 But even i successfully made to the Bluetooth Pairing Request step and checked the box to enable access contacts info, the outcome still went to connection failure on iPhone's side. On Huawei P10, it is said that the iPhone was paired; while on iPhone X, it remained disconnected. This is mainly due to Apple who has restrictions that prevent connecting an Android phone to an iPhone over Bluetooth, even in 2019. Option 2: Transfer contacts from iPhone to Android via App? 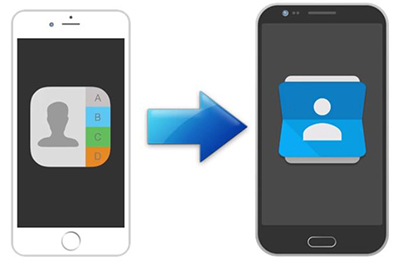 To transfer contacts from iPhone to Android without computer, you can download My Contacts Backup app in APP store to iPhone and then Email the saved data to yourself and login from Android to download the vCard file for contacts import. The biggest problem is that: 1. In My Contacts Backup, VCF backup is limited to max 500 contacts. You need to download PRO version for unlimited contacts backup. 2. Your Email might not be able to send overly large VCF backup file as an attachment. How to transfer iPhone contacts to Samsung/Huawei Android phones? What's the best solution? You may still ask. I would strongly recommend DearMob iPhone Manager for its ability to simply batch or selectively transfer contacts from iOS to Android without limits, for its ability to edit, merge, manage, and delete duplicate iPhone contacts easily on big computer screen before transfer. After all, you can even lock down any sensitive contact info to prevent prying eyes. DearMob iPhone Manager is not merely a contact transfer tool, it also backup and transfer loads of other iPhone data, including video, iTunes movies, iTunes music, purchased books, photos, app data..., as long as you can think of. You will never regret owning it as your efficient iPhone data manager.